No other woman or man unaided by a franchise in the last five years has emerged from nowhere to become such a completely dependable movie star, appearing in one successful film after another and regularly creating product that turns a profit, while maintaining a successful foothold in TV as well. So why are so many people eager to suggest it’s all a mirage? 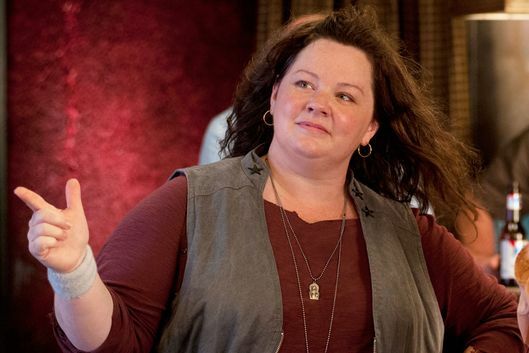 Critics can like or dislike these movies and her work in them, but to survey them in toto and perceive uniformity feels like a willful refusal to see her at all, an insistence that the difference between her various performances matters less than the sameness of her strange determination to continue to be Melissa McCarthy while starring in movies. Is it because she looks so different than other movie stars that some people have convinced themselves she’s always the same?